The affiliate tools on this page already have your main affiliate link embedded. 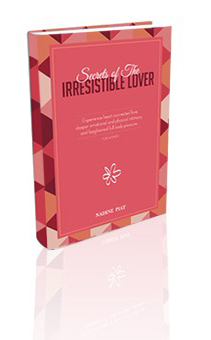 Secrets Of the Irresistible lover is all about sensuality and how to inspire and attract a man on a deep level; a sensual level versus a sexual level, there is a BIG difference, and this will dramatically boost attraction and inspire a lasting connection. In a world where our sexuality is both suppressed and often exploited it’s critical for women to know exactly how to tap into their sensuality to not only inspire attraction but an authentically loving connection too. This program is an extension of my other program SOS. It teaches women to honour their bodies and know how to engage a man on a deeper level, a more sensual level, which creates a deeply emotional and physical bond. Step 2: Post articles on your site/blog. Nadine’s offer is one of the most consistent, stable converters in our rotation, and our customers love it! If you’re looking for a solid converter with recurring commissions that stick, you must promote this offer! Nadine this product STILL Rocks!!!! Our last mailing for Never Lose Him got a $1.53 epc and that's after we've already mailed for it 10 times!!! And we had over 40% of those sales also buy the upsell. I can't wait to mail again. Thanks! Nadine's program converts really well, and is particularly impressive looking back at all the rebilling commissions that just keep coming in several months after every promotion I've made for her. She is a great writer and her program converts! Highly recommended! Nadine is one of our favourite JV partners to work with… she’s reliable, smart, and genuinely cares about the success of both her affiliates and her customers. Nadine’s offers have always converted very well for us, and that’s no small feat in such a competitive niche. Highly recommended!